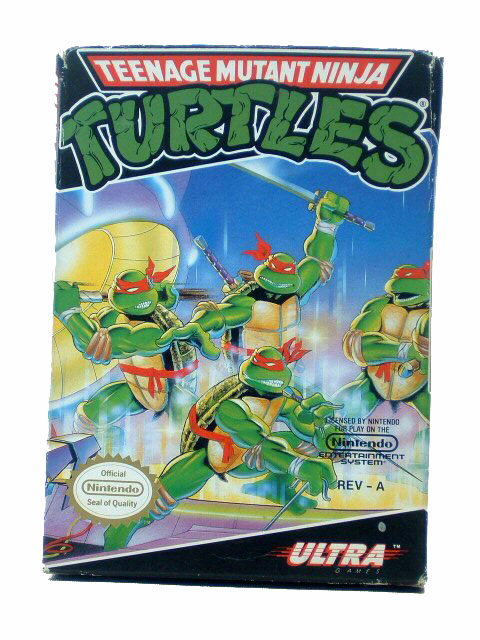 Based on the hit cartoon, Teenage Mutant Ninja Turtles has players go up against Shredder and his Foot Clan followers. Leonardo's weapon are the Katana Blades, which makes it easy to strike far and fast. Raphael carries a Sai in each of his three fingered fast hands. His striking range is short but a little more powerful than Leonardo. Michaelangelo uses Nunchuks, and Donatello, a master of the Bo has some serious reach and power though he is a bit slow to strike. Unlike most games, rather than just give the plot at the beginning, here the story unravels throughout the adventure. First Shredder gets Beebop and Rocksteady to capture the Turtles friend April O'Neal. Once April is rescued it turns out that Shredder has set eight bombs around the local dam. The dam though was a ploy to lure the Turtles away from their lair so that Mechaturtle, another of Shredder's minions, could kidnap Splinter.